Did you know Sage 100 has payments acceptance already built in? Activating the payment features from Paya, formerly Sage Payment Solutions, provides real-time cash flow visibility, speeds remit times, and simplifies your back office. No muss. No fuss. Think of the admin time you’ll save and the errors you’ll eliminate. Paya makes it easy to accept all the preferred credit, debit, and P-cards your customers are using. Get paid faster by accepting partial, full, or recurring payments giving your customers added flexibility that makes it easy for them to do business with you. Paya is PCI compliant. All data is stored in the Paya Vault, not on your servers, so you can keep data safe and protect your business. Plus, you get added fraud detection tools that autodetect and deflect risky transactions that can cost you time and hard-earned dollars. Activating payments with Paya is quick and easy. Contact us today and get paid faster. 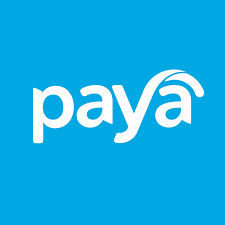 We’re pleased to announce our partnership with Paya, formerly Sage Payment Solutions. Paya, provider of innovative payments and business solutions, offers technologies and integrations that provide simple, secure solutions to all business types. Our partnership with Paya allows us to pass along the savings to you. Just for being a customer of TIMAC you can now benefit from Preferred Partner pricing and much more! Take advantage of payments already built into your Sage 100 software. Let us show you how today!